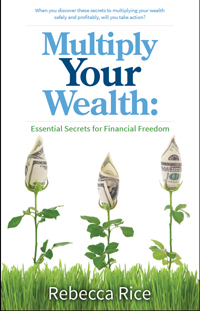 Multiply Your Wealth: Essential Secrets for Financial Freedom. Multiply Your Wealth shows successful strategies for gaining, using, and preserving wealth. Find out how the rich protect their money, keep it private, and gain control over all aspects of it. Learn how to set up a reservoir of money that you can borrow from for business, emergencies, purchases and more. This book offers an easy-to-understand introduction to the “Living Benefits” Concept. Information is presented in simple, straight-forward way. Even if you’ve never heard of the strategy before, by the end of the book you’ll feel confident you know enough to benefit from this unique strategy. Separate truths from myths about safe, secure dividend paying whole life insurance. And learn how this specialized and unique “Living Benefits” strategy creates a powerful, tax-advantaged way to grow your money. While your money grows, you can borrow against it for any reason. No banks, no credit checks, no loan origination fees. You have all the control. You also have a way to pass your wealth on to your heirs, tax-free up to over $5 million. No probate. No IRS. No publicity. Whether you are a money novice or a Certified Financial Planner, you will find valuable insights and actionable information in Multiply Your Wealth. “I found Multiply Your Wealth simple to understand and easy to read. Rebecca took the time to explain all facets of the pros and cons. I appreciate her deep knowledge and her taking the time to put all this information in a valuable book to share with people. Read the first chapter below!